Brewers manager Craig Counsell counts heavily on his bullpen, and Josh Hader is well rested. The rocket-armed lefty hasn't pitched since Tuesday in Game 4. He wasn't needed Friday night as the Brewers topped the Dodgers 7-2 in Game 6. Red Sox manager Alex Cora said Friday he's sorted out his rotation for the start of the World Series: Ace Chris Sale will start Tuesday's opener and David Price probably will follow in Game 2, Cora told WEEI radio. NEW YORK (AP) — On the final day of an emotionally draining season, Mickey Callaway knew exactly how to describe what he just went through with the New York Mets. "It's been a roller-coaster ride," the rookie manager said. "There definitely were highs and lows." New York said goodbye to captain David Wright, general manager Sandy Alderson and former ace Matt Harvey. Jacob deGrom delivered a Cy Young-caliber performance that went to waste. Zack Wheeler and Brandon Nimmo had breakout years. Yoenis Cespedes and Jay Bruce got derailed by injuries. Harvey, Jeurys Familia and Asdrubal Cabrera were traded away. There was pain and frustration. There was pride in deGrom. There were electric nights and empty seats at Citi Field. And a sizzling start was wiped out by June, making the solid finish a formality. At the end of it all, the Mets went 77-85 and came in fourth in the NL East. It was a seven-win improvement over last year, but a second consecutive losing season marked a major disappointment for a team that spent nearly $90 million to fill holes in free agency and entered April with October aspirations. "I think there's a lot more in the tank for these guys. I think the effort was there, but I don't think we got out of them what we should have gotten out of them," chief operating officer Jeff Wilpon said Sunday. The first order of business in trying to change that will be hiring a new general manager. Alderson stepped down with a stunning announcement in late June, saying his cancer had returned. Assistant GM John Ricco and special assistants J.P. Ricciardi and Omar Minaya ran baseball operations the rest of the season, but Wilpon said the next boss will come from outside the organization. He said the search will be "very broad" and include "some untraditional candidates." He'd prefer to have someone in place by the general managers' meetings next month. If not, then by the winter meetings in December. Wilpon said he would like Ricco, Ricciardi and Minaya to return — but that doesn't guarantee they'll be retained. "They're part of the failure that we had this year, same as I am and the rest of the front office. So it's only fair to give somebody coming in an open book to bring in who they want," Wilpon said. "From an ownership standpoint, I'd like them to stay. I'd like Mickey to stay. That's from ownership, though. We're going to rely on a new GM to give us that direction and guidance." New York starters had a 3.54 ERA, sixth-best in the majors. The team held onto deGrom, Wheeler, Noah Syndergaard and Steven Matz at the trade deadline and believes they could still provide the foundation for a quick turnaround. 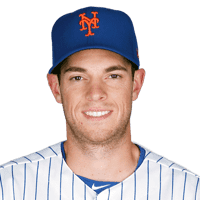 Wheeler can become a free agent after next season, and deGrom is under club control for two more years after going just 10-9 despite a big league-low 1.70 ERA and 269 strikeouts. The bullpen requires an extensive rebuild after compiling a 4.96 ERA that ranked 28th out of 30 teams. Seth Lugo and Robert Gsellman transitioned successfully into relief roles, while youngsters Drew Smith, Daniel Zamora and Tyler Bashlor showed some promise. But there's no real closer on the roster, and several spots are wide open. "I think that we obviously need some help, and I'm sure that we will address some of that this winter," Callaway said. "I'm excited about the bones of it, but do feel we need to add a couple more guys to be the bullpen that we need to be to be a championship team." Talented young shortstop Amed Rosario made encouraging strides in the second half of his first full major league season. He still must learn better plate discipline to raise a .295 on-base percentage. Scrappy second baseman Jeff McNeil was a big hit immediately upon arrival from the minors. He batted .329 with an .852 OPS in 63 games and played much better defense than projected. So the Mets might have a double-play combination in place. Catcher and center field, however, remain critical question marks. With Cespedes' status uncertain, the Mets could use some right-handed pop. The outfielder is scheduled for his second heel surgery Oct. 23 — this time on his left foot — but can't predict how much he'll be able to play next year. Wilpon said the team must plan as though the oft-injured slugger will be unavailable. Michael Conforto had a huge second half and Bruce, also a left-handed hitter, regained his power after a long stint on the disabled list. He could move to first base full-time, though that's where top power-hitting prospect Peter Alonso plays. Alonso offers a right-handed bat with success in Triple-A whenever the Mets deem him ready. Attendance dropped by 230,000 to 2,224,995, the lowest figure at Citi Field since 2014. There were cheers and tears in the sellout crowd for Wright's farewell game Saturday night, but Wilpon said Mets fans deserve more, "and we're going to produce that." MINNEAPOLIS (AP) — Left fielder Eddie Rosario has won the Calvin R. Griffith Award for the most valuable player of the Minnesota Twins in 2018, after batting .288 with 57 extra-base hits in 138 games. The Brewers' playoff roster announced before the series opener on Thursday features an 11-man pitching staff that includes rookie right-handers Corbin Burnes and Freddy Peralta. Like Woodruff, they are promising starters who have been pitching out of the bullpen. Woodruff leads off what manager Craig Counsell called a bullpen day on Thursday against the Rockies, who are starting right-hander Antonio Senzatela (6-6, 4.38 ERA). Woodruff is 3-0 with a 3.61 ERA in 19 games this year with four starts. The 25-year-old has pitched exclusively in relief after Sept. 1, going 1-0 with a 0.73 ERA over 12 1/3 innings in seven appearances. 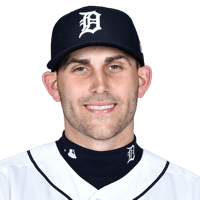 "He's just throwing the ball really well, and two, I think he has the potential to do a little more than a reliever, maybe," Counsell said. One of Woodruff's four starts came at Colorado, when he allowed seven runs on nine hits in three innings on May 11. The Brewers still won 11-10. Jhoulys Chacin (15-8, 3.50), the Brewers' best starter this year, is scheduled to take the hill in Game 2 on Friday, when he will be opposed by Colorado's Tyler Anderson (7-9, 4.55). 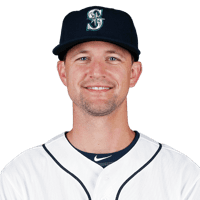 The left-handed Anderson was formally added to the roster after being left off for the wild-card game, with Colorado also adding German Marquez. Manager Bud Black said Marquez may pitch either in Game 3 on Sunday or Game 4 on Monday, if necessary. 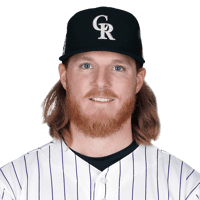 Left off again for the NLDS was right-hander Jon Gray (12-9, 5.12) a strikeout pitcher who struggled this season. 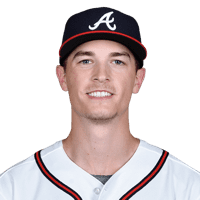 Gray was the losing pitcher in the 2017 NL wild-card game, allowing four runs and seven hits in a 1 1/3 innings against Arizona. Left-handers Wade Miley and Gio Gonzalez are the other starters on the Brewers' roster. Miley (5-2, 2.57) has pitched well in the second half, while Gonzalez is 3-0 with a 2.13 ERA in five starts after being acquired from the Washington Nationals. Outfielder Keon Broxton is on the NLDS roster to give Counsell a pinch runner and late-inning defensive replacement off a bench that includes right-handed slugger Domingo Santana and left-handed veteran Curtis Granderson. Among those left off the roster were left-handed power hitter Eric Thames, who came off the bench in September. He initially split playing time with Jesus Aguilar at first base before getting hurt in April. Aguilar went on to have a breakout season, making the All-Star team and hitting 35 homers. 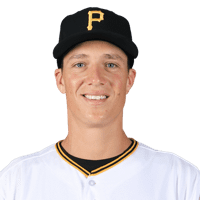 Right-handed starter Zach Davies was also left off the roster. He was 2-7 with a 4.77 ERA but pitched better in September after returning from injury. Right-handed starter Chase Anderson, who gave up an NL-high 30 homers, didn't make the roster. For the Rockies, third catcher Drew Butera and infielder Pat Valaika were dropped from the wild-card game roster, along with lefthander Jake McGee. Right-hander Chad Bettis (5-2, 5.01) joins the roster for the division series. Indians: SS Francisco Lindor (.277, 38 HRs, 92 RBIs, 42 2Bs, 25 SBs), LF Michael Brantley (.309, 17, 76), 2B Jose Ramirez (.272, 39, 106, 34 SBs), DH Edwin Encarnacion (.246, 32, 107), 3B Josh Donaldson (.246, 8, 23 with Blue Jays and Indians), 1B Yonder Alonso (.250, 23, 83), RF Melky Cabrera (.280, 6, 39 in 78 games), C Yan Gomes (.266, 16, 48), CF Jason Kipnis (.230, 18, 75). 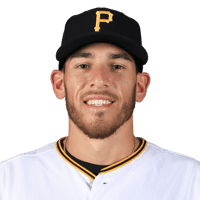 Astros: CF George Springer (.265, 22, 71), 2B Jose Altuve (.315, 13, 61), 3B Alex Bregman (.286, 31, 103, AL-best 51 doubles, 84 walks, 82 Ks), SS Carlos Correa (.239, 15, 65), 1B Yuli Gurriel (.291, 13, 85), DH Evan Gattis (.226, 25, 78), LF Marwin Gonzalez (.247, 16, 68), RF Josh Reddick (.242, 17, 47), C Martin Maldonado (.225, 9, 44 for Angels and Astros) or Brian McCann (.212, 7, 23 in 63 games). Indians: RH Corey Kluber (20-7, 2.89 ERA, 222 Ks in league-leading 215 IP), RH Carlos Carrasco (17-10, 3.38, career-high 231 Ks), RH Mike Clevinger (13-8, 3.02, career-high 200 IP, 207 Ks), RH Trevor Bauer (12-6, 2.21, 221 Ks in 175 1/3 IP). Astros: RH Justin Verlander (16-9, 2.52, AL-high 290 Ks and only 37 walks in 214 IP), RH Gerrit Cole (15-5, 2.88, 2nd in AL with 276 Ks in 200 1/3 IP), LH Dallas Keuchel (12-11, 3.74), RH Charlie Morton (15-3, 3.13). Indians: RH Cody Allen (4-6, 4.70, 27/32 saves), LH Brad Hand (2-5, 2.75, 32/39 saves with Padres and Indians), LH Andrew Miller (2-4, 4.24, 37 appearances, fewest since 2013), RH Shane Bieber (11-5, 4.55 in 19 starts), LH Oliver Perez (1-1, 1.39 in 51 appearances), LH Adam Cimber (3-8, 3.42 in 70 games for Padres and Indians). Astros: RH Roberto Osuna (2-2, 2.37, 21/22 saves for Blue Jays and Astros), RH Ryan Pressly (2-1, 2.54, 2 saves for Twins and Astros), RH Hector Rondon (2-5, 3.20, 15 saves), LH Tony Sipp (3-1, 1.86, 54 appearances), RH Collin McHugh (6-2, 1.99, 58 appearances), RH Will Harris (5-3, 3.49, 61 appearances), RH Josh James (2-0, 2.35), RH Brad Peacock (3-5, 3.46, 61 appearances), RH Joe Smith (5-1, 3.74, 56 appearances), RH Lance McCullers (10-6, 3.86 in 25 games, 22 starts). First postseason meeting between these teams. ... Indians faced Astros twice in May, losing two of three games at Minute Maid Park before splitting four-game series with defending World Series champions in Cleveland. Houston outscored Cleveland 45-29 overall. ... Cleveland won 8-6 and 10-9 slugfests over Houston in final two games, taking the finale on Greg Allen's walk-off homer in 14th inning. ... Indians batted just .229 against Houston pitchers. ... Lindor had major issues against the Astros, batting only .097 (3 for 31) and striking out seven times. His career average is just .201 vs. Houston. ... One bright spot for Cleveland's offense was Encarnacion, who batted .346 (9 for 26) with two homers, five RBIs and scored seven runs. He was only Indians regular to hit over .300. ... Kluber dominated in two starts, going 1-0 with 1.35 ERA and 17 strikeouts. ... Indians bench coach Brad Mills was Astros manager from 2010-12. ... Cleveland is 10-6 at Houston since 2014. ... Indians ranked second in MLB with .259 batting average and Astros were seventh at .255. ... Astros led majors with 3.11 ERA and Indians were ninth at 3.77. ... Encarnacion batted .417 with two homers and four RBIs in 2016 ALDS for Toronto against Texas. ... Bauer, who recently returned from broken leg, might start Game 4 for Cleveland — but could be used out of the bullpen in the first three games. He missed more than a month late in season but looked good in nine innings over three appearances in September and should be ready. He ended the season ranked second in AL in ERA. Indians: Cleveland (91-71) waltzed to third straight AL Central title with sights set on October and possibly ending World Series championship drought dating to 1948 — longest current streak in majors. ... Indians failed to return to Series last year, blowing 2-0 lead in Division Series and losing to Yankees. ... Cleveland might be better prepared than ever for postseason with a superb starting rotation anchored by Kluber and a lineup strengthened by the late-season acquisition of Donaldson, the 2015 AL MVP. ... Lindor and Ramirez have been a dynamic duo again this season, combining for 77 homers, 198 RBIs and 59 steals. They're the first teammates to each get 80 extra-base hits in consecutive seasons since Yankees Hall of Famers Joe DiMaggio and Lou Gehrig in 1936-37. ... Indians are first team in major league history to have four pitchers reach at least 200 strikeouts. 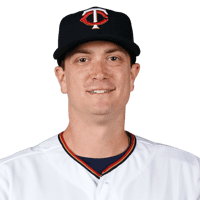 ... Bullpen was up and down all season, but Miller seems to be close to pitching like an All-Star again following three trips to disabled list. Cleveland manager Terry Francona might be able to mix and match in late innings with Miller, Hand and Allen. ... Donaldson's arrival pushed Ramirez from third base to second and strengthened infield defense. ... Kipnis had more time to adjust to playing the outfield after Ramirez's switch. Astros: AL West champions for second straight year. Houston (103-59) set franchise record for wins and reached postseason for third time in four years under manager AJ Hinch. Astros are in playoffs for 12th time. ... Houston went 64-35 in first half but cooled off in second half (39-24). ... Verlander, Keuchel and Cole all finished in top 5 in AL in innings pitched. Astros became sixth team to do that and first since 1970 Orioles, who won World Series. ... Team acquired Osuna and Pressly before July 31 trade deadline to bolster bullpen. ... Hinch signed four-year extension in August to keep him under contract with club through 2022. ... Astros had better record on road (57-24) than at home (46-35). ... Altuve was on disabled list this season for first time in career, sitting out from July 26 to Aug. 21 with knee injury. ... Verlander led AL with 0.90 WHIP and was third with .200 opponents' batting average. His 2.52 ERA ranked third in AL and was his lowest since 2.40 mark in 2011 with Detroit when he won AL MVP and Cy Young Award. ... Bregman led offense with Correa and Altuve not performing as well as they have in past. The 24-year-old Bregman set career highs for homers, RBIs and doubles. — Dynamite or Duds? Lindor and Ramirez make the Indians' offense go — or stop. The pair didn't show any flaws last season until October, when they went a combined 4 for 38 and struck out 13 times against the Yankees. — Correa's Back. 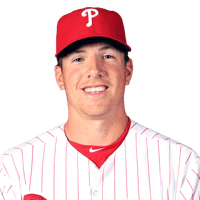 The top overall pick in the 2012 draft hit .268 with 13 homers and 49 RBIs in the first half this season but struggled with a back injury for most of the second half. He missed about six weeks and hit just .180 with two homers and 16 RBIs in 37 games after the All-Star break. He said he's feeling better now and hopes he can get back on track in the postseason. — Bauer Power. The right-hander's ability to pitch multiple innings on short rest gives Francona a valuable weapon he won't hesitate to use against the Astros. Bauer will come out of the bullpen if either Kluber or Carrasco struggles in the first two games, and there's a chance Bauer could be used as either the closer or a bridge to the back of the bullpen. — Morton's Shoulder. 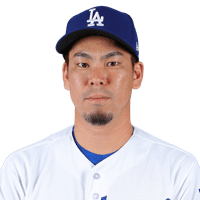 The right-hander spent time on the DL late in season with shoulder discomfort but made two appearances during the last week and appeared to have regained his velocity. He looked ready for the playoffs. — Big Stage. Donaldson battled injuries before Toronto decided to trade him on Aug. 31 and get something in return before he hit free agency. The deal rankled other American League contenders, and now Donaldson has a chance in October to show he's still one of baseball's most dangerous hitters and perhaps create a lucrative market for himself this winter. He looked good in limited action at the end of the season, batting .280 with three homers and seven RBIs in 16 games. In five career postseasons, Donaldson has hit .292 with four homers and 13 RBIs.